September 27, 2017 August 29, 2017 / Julie Brook, Esq. Try this hypothetical: Opposing counsel has just finished direct examination of a witness who testifies that your adversary has the reputation of being scrupulously honest in all aspects of his life, including business transactions. How can you cross-examine on the nebulous concept of “reputation”? Q. You testified that Sam Jones has an excellent reputation for truthfulness? Q. Name three people you’ve discussed Mr. Jones’ reputation with over the past six months. If the witness can provide a name or two, further questions about specific conversations, where they occurred, and who was there often skewer such claims. Of course, if you’re planning to present reputation evidence, be prepared for this type of examination: Instruct your reputation witnesses to canvass the community to get specific glowing testimonials about the client’s good character. Many experienced lawyers view character evidence as, at most, a make-weight, and at worst, a waste of time, with dangerous risks. But character evidence that’s properly presented can bolster your case. Just be careful with the interlinking rules—they’re confusing (and twice as complex in a criminal case). For example, in both civil and criminal cases, parties may introduce reputation character evidence on truth or veracity as circumstantial evidence to attack or rehabilitate a witness’ credibility. Evid C §§780(e), 786. And in civil cases, evidence of a person’s character trait is admissible as circumstantial evidence to prove that person’s character when character itself is in issue (see Comment to Evid C §1100) but not to prove conduct. See Comment to Evid C §1101. 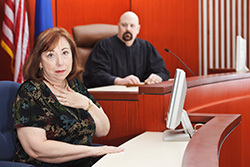 While in criminal cases, the defendant may introduce reputation or opinion evidence of his or her own character traits as circumstantial evidence to prove conduct. Evid C §1102. The whole area of character evidence is confusing and often misunderstood. Before questioning a character witness, you should thoroughly review the law in the area and be clear on the purpose for which you are offering particular character evidence. For a list of steps to take in analyzing whether to use opinion character evidence, which is equally applicable to reputation character evidence, see CEB’s Effective Introduction of Evidence in California §14.14. Also check out chap 15 on reputation evidence. 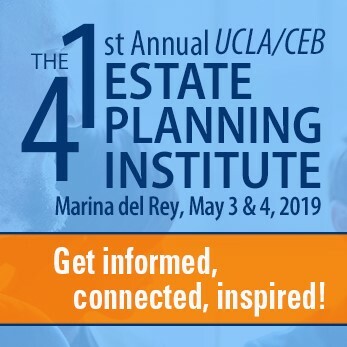 And find a discussion of the rules for character evidence in CEB’s Jefferson’s California Evidence Benchbook, chap 35. Get more of these types of hypothetical examples in CEB’s Effective Direct and Cross-Examination, chap 13. Great post. Another way to handle the “good reputaiton witness” is to use them to introduce evidence of wrongdoing. From my notes (copied from various treatises): On Cross, an attorney may inquire about wrongdoing the witness doesn’t know about: “did you know he was convicted of auto theft?” Still, the allowable questioning in this instance is limited: “It is elementary that the misconduct inquired of must be inconsistent with the character traits attested to on direct.” People v. Marsh, 58 Cal. 2d 732, 745 (1962). At moments like these, seemingly all of a sudden, the prohibition on evidence of special instances of conduct begins to dissolve, permitting the opposing attorney to attack the opinion for truthfulness with hints about evidence of conduct involving untruthfulness. People v. Hurd, 5 Cal. App. 3d 865, 877–81 (1970). Of course, the questions must be asked in GF and not suggest misconduct that did not actually occur. People v. Eli, 66 Cal. 2d 63, 79 (1967).